The Diva combines racy style with high performance, yielding rich full bodied espresso with a good cream. 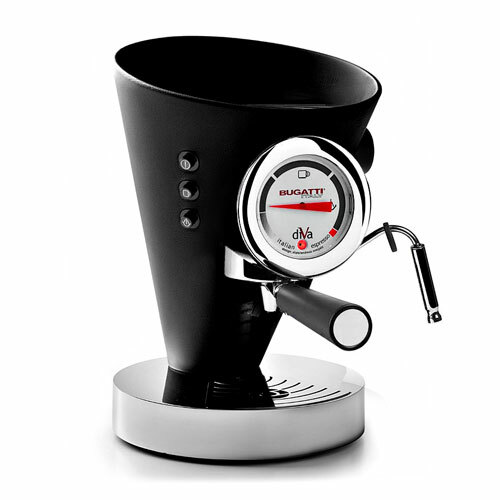 Its efficiency is derived from a combination of ideal water temperature, high brewing pressure & brief extraction time, accomplished by heating elements and a powerful 15 bar pump system. A dial gauge marked with "coffee” & "steam" readings, indicates when machine is ready for your desired function & the built-in frother steams milk for lattes or cappuccinos. The machine can do either ground coffee or pods. Water tank holds 800ml. 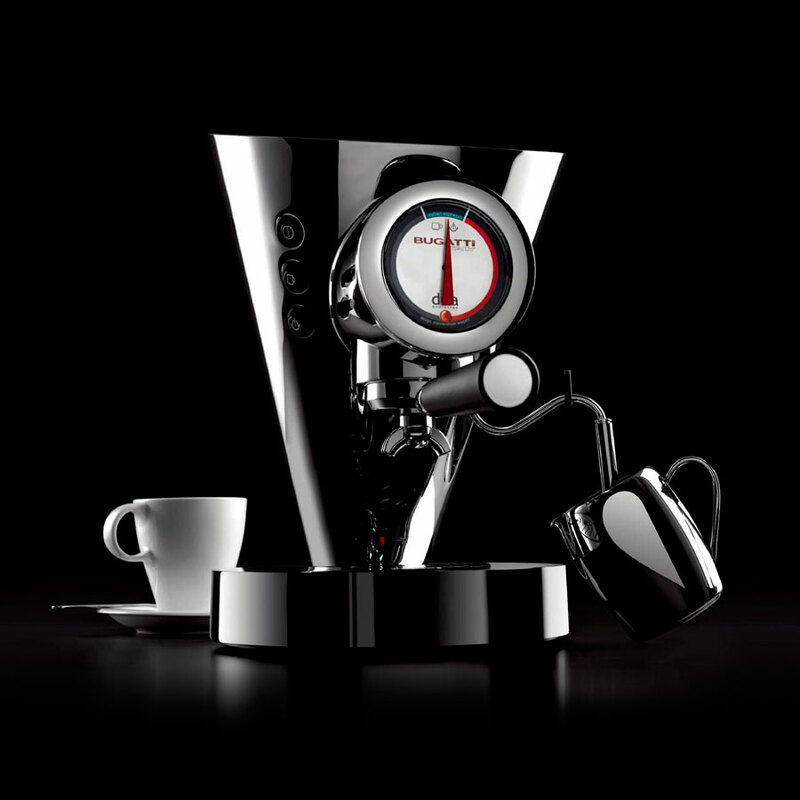 The unique Bugatti Drop System ensures fresh water flows from the design-integrated tank to garantee the perfect cup of coffee, every time.